My last post was about testing the waters with ecommerce before you commit yourself to going all in. 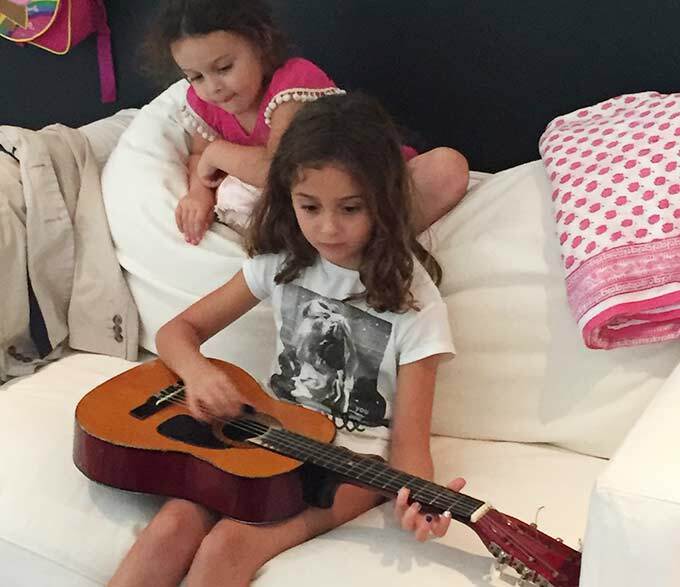 I made the comparison to my daughters guitar lessons. No shocker here: She is bored already and this weekend was her last lesson. Starting an online store takes commitment. Online selling still means you have to sell. You have to make sure you are willing to get married to a new business venture. You have to make time for your online store. Last week I wrote about the benefits of Amazon as a platform. Amazon and their FBA platform makes it easy. They handle your shipping, returns and customer service. You pay them a commission for the sales and service they provide. But what I didn’t tell you was the method I was referring to as a beginner approach. Some of you may have heard of this approach already. This post is about online selling using something called Retail Arbitrage. Now don’t be fooled by the fancy name. We’re not trading currency around the world or anything complicated. ARBITRAGE: The act of taking advantage of price differences between two or more markets. The Internet has connected buyers and sellers from all over the world. It’s driven down prices and helped smaller businesses compete against the big ones. 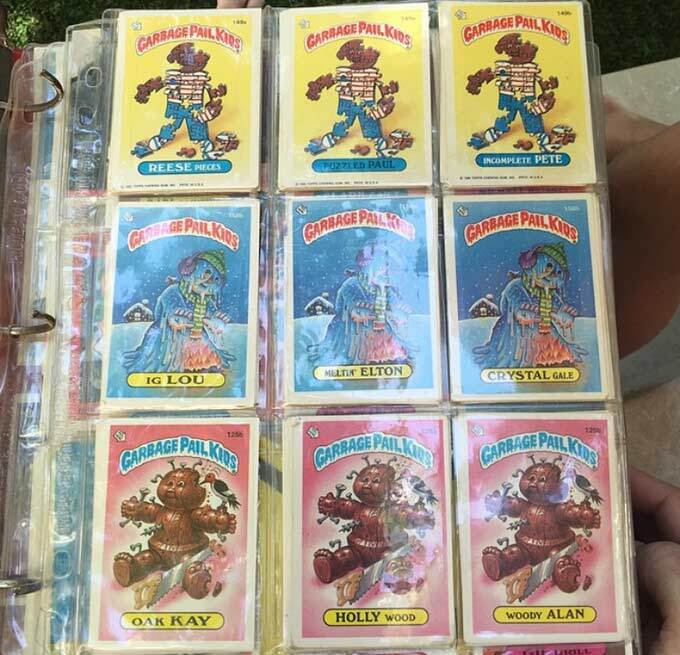 The Internet has proven that the Garbage Pail Kids that I collected when I was little are still worthless. 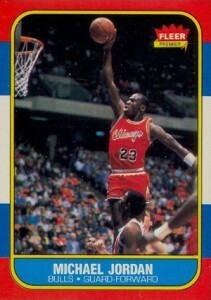 Even the jordan rookie card has been rather flat in prices over the years. This is because I can easily search Ebay and take my pick. I am no longer relegated to the one card at the shop in my neighborhood. But in the physical world, there are still inefficiencies and imperfect information. For Example: One area of the country may have no interest in new high fashion shoes while other areas of the country may be sold out. Theses differences and inefficiencies allow you to make money. You have heard the expression of “buy low and sell high” before. While this expression refers to stock prices, retail arbitrage works on the same principles. Buy items where they may be temporarily inexpensive or on sale, and sell them where there is higher demand and people willing to pay more money. Maybe your local corner store is going out of business and liquidating their inventory. This is the perfect opportunity for you to buy these items inexpensively and then turn around and sell them at the full retail price on Amazon. Now I know you may be thinking that this opportunity isn’t common. I agree that the corner store is not always going out of business. But, you would be surprised how many sales and deals you can find. Stores like Bed Bath and Beyond, Target, Big Lots, Toys R Us, Babies R Us and endless other chain stores are perfect. These stores are constantly slashing prices or offering special deals to move their inventory. When you buy these items at the store and then list them for a profit on Amazon, this is the process of retail arbitrage. It’s that simple. 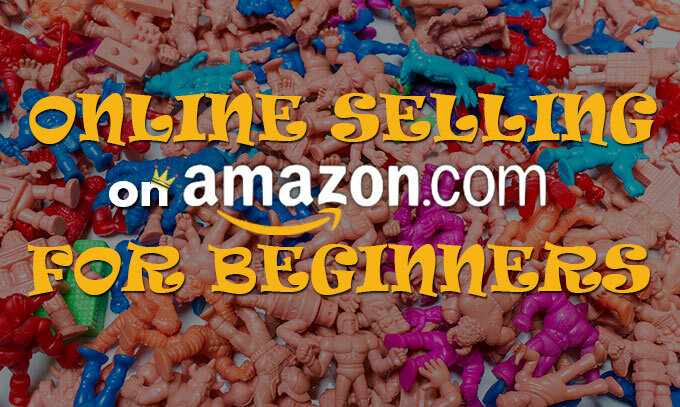 Online selling for beginners. Your first step to being successful is to take the guesswork out of it. You don’t need to have a sixth sense and feel a deal. Amazon hasn’t become the powerhouse that they are by being silly. 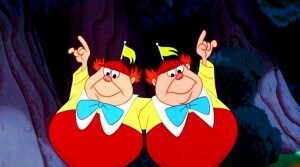 In fact, they have done half the work for you. 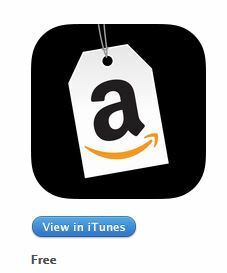 Head over to the App Store and download the Amazon Seller app. 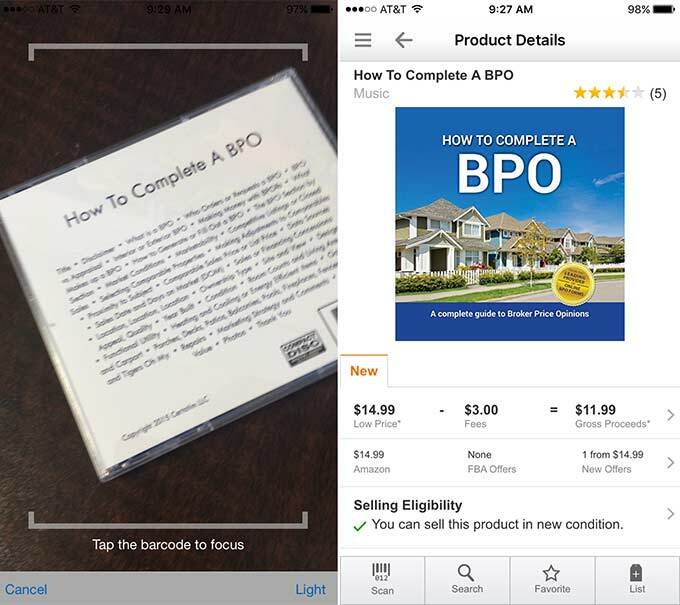 The app has a feature called “Scan and Search to Sell” that allows you to scan a barcode on any item right there in the store. I had to leave the barcode off the screen to the right because the app is so quick that it automatically takes you to the informational screen. The app instantly pulls up the price it’s selling for on Amazon and shows you how many others are offering it for sale. In the picture above you can see one of the audio books we wrote and sell. You can see the fees that Amazon charges and your gross proceeds. It doesn’t get easier than this. The larger the spread between the price you can buy it for and the price it’s selling for, the better off you are. Now I don’t want to trivialize this process. There are pitfalls to this process like any other. You need to think about your shipping costs to get the product to Amazon. Shipping to the customer is on them. You have to make sure the product is in a category you are eligible to sell in. The app will tell you. You are going to need to learn what sells and what doesn’t. A good rule of thumb is anything in the top 1000 of any top level category is great. In reality everything on Amazon sells. The difference is how quickly and how much competition do you have. Time is money and you don’t want to buy things that sit in their warehouse for too long. It’s not that the storage costs are prohibitive, (68 cents per cubic foot per month at worst) you just don’t want to tie up your capital. Now I have just lightly touched the surface of retail arbitrage and there are plenty of tricks and techniques that you can master and perfect. You can fine tune your online selling this way and make some real money. What I wanted to do though, was expose you to another angle of ecommerce that you can start for as little as $100. 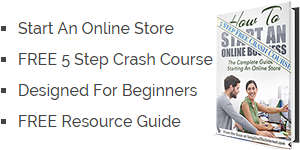 This also allows you to get the ball rolling and see if you actually enjoy all the aspects of running an ecommerce business and online selling. While retail arbitrage is not entirely like starting your own online store, it’s a great warm up to get you going. P.S. You can get as serious as you want with retail arbitrage. While the lion share of people are supplementing their incomes with a couple hundred dollars a month, there are others making 6 figure incomes from retail arbitrage. It may not be a sustainable million dollar business, but it’s not to be brushed off.